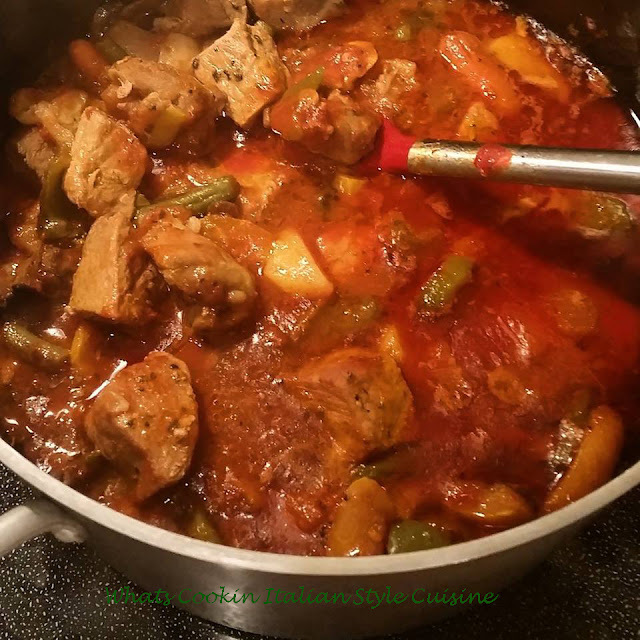 This is a basic stew you can add what ever you like to. This is my version. This one has lamb in it but you can use any kind of meat you like or none at all. 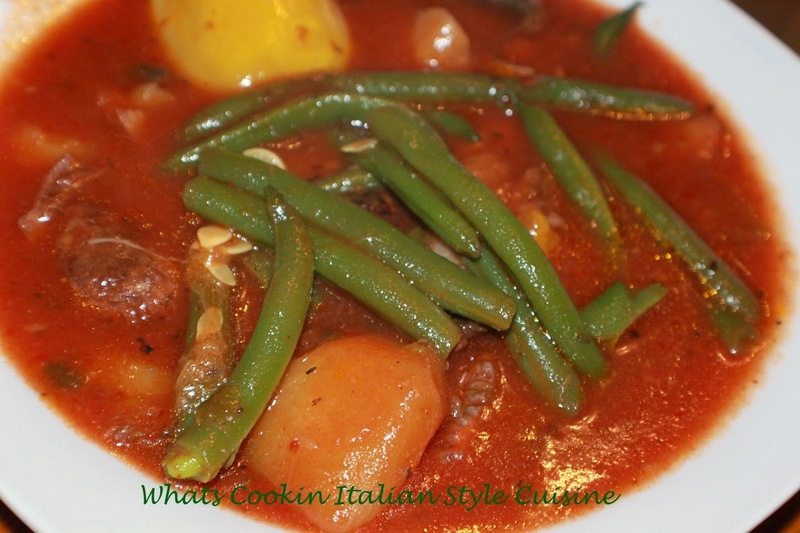 Sop up the juices with some great crusty Italian bread and you will have the perfect meal! What really happened was I bought some awesome lamb steaks, they were cut from the leg. Well after marinating them they still weren't tender so the meat went into this stew. Don't ever throw out tough meat this is what should have next after a disappointing meal, stew! In a large saucepan at least 5 quart, add the meat of choice with two to three tablespoons of olive oil and saute until browned on both sides. Add the peppers, garlic and mushrooms to the pan with 3 tablespoons olive oil. Saute 2 more minutes and then add everything else except for the beans, add the seasonings to taste. Simmer stew on low for around 2 to 3 hours or until meat if fork tender. NOTE: I add the string green beans that are steamed separately at the end, you can add them raw in the beginning but they will not stay bright in color so I make them in a steamer and add 1/2 hour before the stew is cooked. Either way is fine.